almost a month has passed since my last Greek Files post so here is another one. 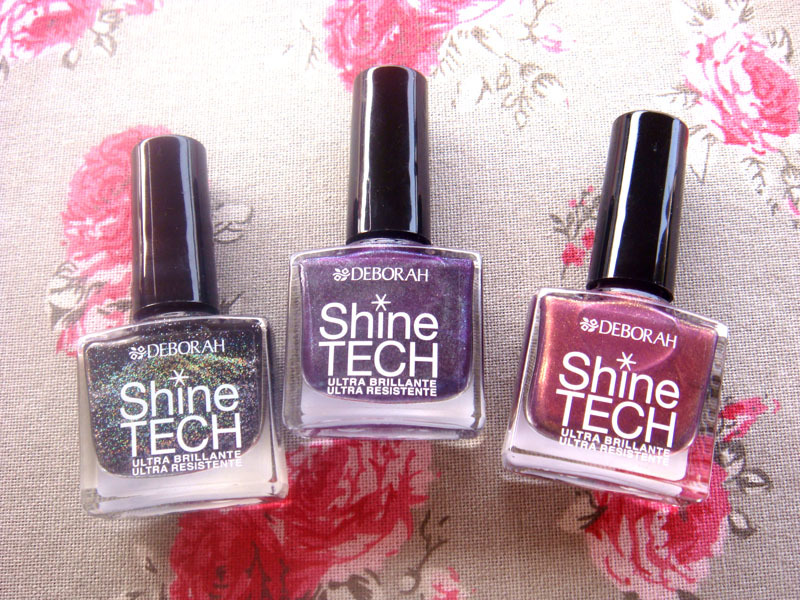 Today I will present to you some nail polishes from Deborah. 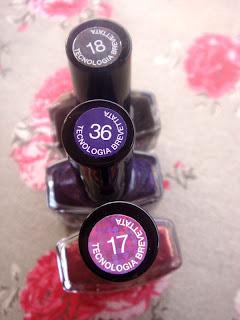 This brand is not Greek but it is readily available in many beauty stores here and has a fabulous colour selection. Judging from the bottles I would say the brand is Italian but I could be wrong. So here are my three favourite colours from them. Below you can see them on my nails. 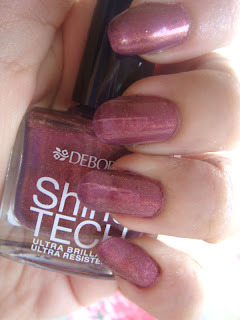 Each colour is two coats without base or top coat. I think 17 could use a third coat as I can still see the nail line but they other colours look great with just two coats. 36 looks like a duocrhome in the bottle but the effect is not that visible when worn. Out of the three I think my favourite is the black, such a fabulous colour! What do you think of this brand? Have you heard of it before? Ohhh I think I'm in love with the second pictured polish! GORGEOUS! All of them look fabulous doll!! !ta xei sto Hondos? ?giati de nomizw na ta xw dei edw!!! I like the black polish. @hermetic yay, so I was right! 36 is a fabulous colour!!! @Rachel Marie thank you! Seriously their whole colour selection is fabulous. No boring colours from this brand. @Blushingloves nai, nai ta exei, prepei na pas exei pou exei ta bernikia mazemena. Ego apo ekei ta pairno, apla se faseis isos einai out of stock. Fernoun sunexeia omos. @KarenD it is a very interesting brand with a lovely colour selection. Hehehe we have the same taste, this purple rocks! Yes, the brand's Italian. Apparently they're the makeup suppliers for the Miss Italy beauty contest or something.